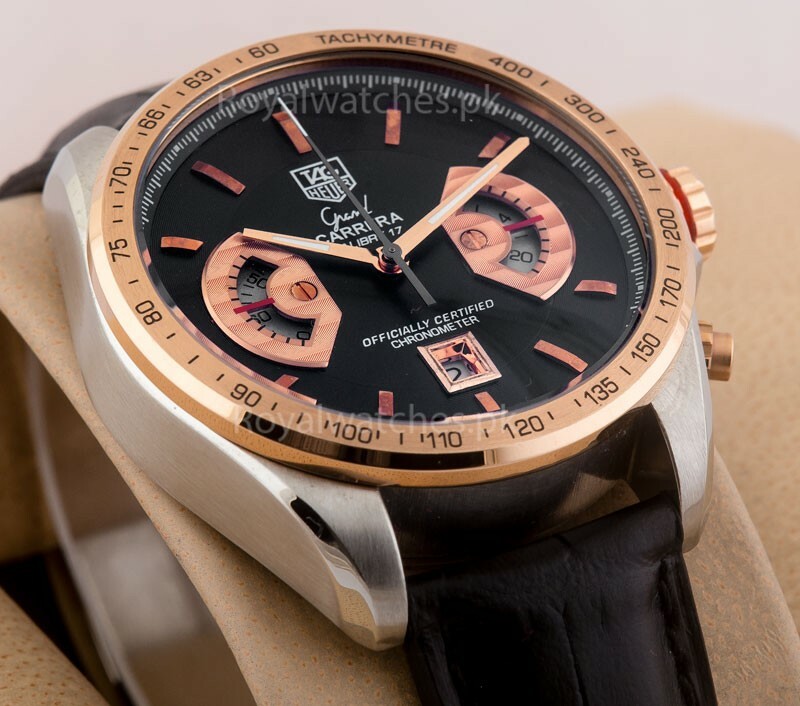 Tagheuer Grand Carrera has a Sapphire crystal glass with anti-reflection treatment. Polished faceted hands and indexes are hand applied and coated with luminescent material for enhanced visibility. Brown leather strap. Oversized screw-in crown for easy to hold.